I don't exactly remember how I came to eating at Evo's, because I have never been one to seek out organic restaurants, but I must say that I am glad that I did. 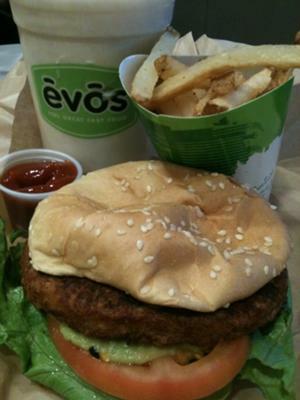 Although I wouldn't recommend Evo's to someone seeking an awesome burger, I would recommend it for any other purpose. The menu has variety, and the choices of ketchup are superb (garlic, Cajun, BBQ, etc.). Although a number of my coworkers are critical of their fries, I've always enjoyed them. My favorite items would be the Spicy Thai Trout, and the Buffalo sandwich. Additionally, my children always enjoyed their meals. Give EVO’s a try. I am quite sure you will be pleasantly surprised by how good organic food can be! The Healthy Way Cafe, located in Jacksonville City, has become the newest hot spot. I have been hearing rave reviews about this new age "fast food" organic restaurant, so I figured it was time to give the place a try. When I arrived I was surprised at the selection they had to offer. You can order anything from a smoothie for the road to fully loaded salads, wraps, and sandwiches. 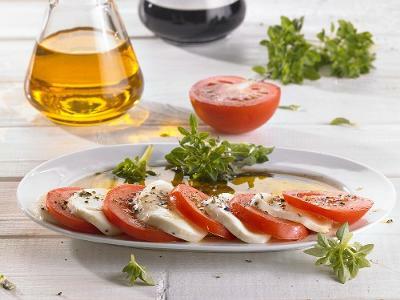 Another unique feature is they have a build your own option where, if you are feeling creative, you can choose a variety of meats, cheeses, and vegetables to top a variety of breads. I ordered the chef's special vegetarian sandwich topped with organic rice, mushrooms, black beans, carrots, tomatoes, and balsamic vinaigrette. Although I found the meal to be slightly pricey for lunch ($8.95) the food was amazing!! All the vegetables were fresh and tasted wonderful. The bread was soft and had clearly just been made. Since my first meal at healthy way I have returned several times and have not found a meal that I didn't enjoy. I strongly recommend giving healthy way cafe a try! Mildred's Big City Food is an organic restaurant in Gainesville that has some of the best food in the city. The food is healthy yet delicious. It is chemical free and is often locally grown. I feel good about eating there because it is good for my body as well as the environment. The atmosphere is very cozy and personal. The most exceptional thing about the restaurant is the variety. Some of the items on the menu are combinations of food I have never seen anywhere else. They offer vegetarian as well as meat options, but all of the food is organic. The menu is constantly changing, and they have very unique and enticing special that changes regularly. I would enthusiastically recommend Mildred’s Big City Food to anyone coming to Gainesville. 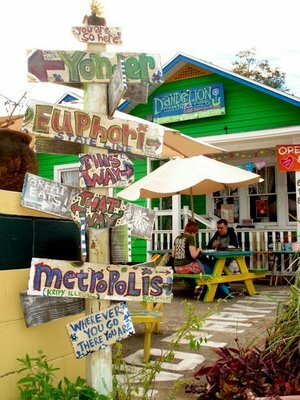 One of my favorite places for local organic food, as well as an all around great place to hang out in, is the Dandelion Communitea Cafe in Orlando, Florida. They focus on the community, and showcase local art on their walls. There is a wide selection of organic goodies including teas and coffees as well as more full meals and other organic food dishes. Not only food but also atmosphere permeates the Dandelion Communitea Cafe. They also hold events at this location such as drum circles held on the new and full moons and free trade bazaars as well as the ongoing art exhibitions. If you want a healthy uplifting experience that extends beyond just your next meal you will find it here among the friendly smiles and faces of the patrons. Be warned - this place may bring out your inner hippie.